Underdogs Change the Game When Facing Giants. Small businesses are often considered underdogs in the world of marketing. But the world is filled with examples of underdogs who win. Underdogs that win follow a pattern. Take the illustration of the classic underdog – the story of David versus Goliath from the Bible. David was the youngest son of Jesse, a shepherd, and was camping with the Israelite army. He faced Goliath of Gath, a giant with the Philistine army. Goliath challenged the Israelites with a man-to-man combat – Goliath against any man the Israelites chose. Goliath proposed a winner-take-all contest, where the winning combatant would also win for his army – and the loser's army would become servants to the winners. The Israelites were afraid to fight a larger Goliath. But David volunteered to fight Goliath man-to-man. Goliath was a large man armed to the teeth – a bronze coat of mail that weighed more than 100 pounds, a helmet, armor covering his legs, a sword, and a spear – classic battle equipment for the day. David's leader gave David armor to wear and traditional battle equipment to carry. But David changed the game – he went light. David choose to go to battle against Goliath with no armor and without traditional battle weapons of the day. Instead, he took his shepherd's staff, a sling, and a shepherd's pouch full of rocks – not the classic battle gear of the day. Light and fast-moving, David placed a stone in his sling, wound up, and struck Goliath in the forehead with the stone. Goliath fell forward, and David took Goliath's own sword, and killed Goliath by cutting off Goliath's head. Game over. David knew Goliath had a size advantage and stayed far from Goliath's reach. David realized that Goliath was weighed down with heavy armor and battle gear. Heavy armor was considered a strength, but David took advantage of a slow-moving Goliath as a weakness. David used what he knew and that which with he had experience – David had used a sling and rocks before. David used Goliath's own sword to kill Goliath. A competitor's weapon can be used against the competitor. David and Goliath is a great story for those who fought hand-to-hand combat thousands of years ago, but one may think, “This story doesn't much help run a small business in today's world. “ Think again. Fast forward to a modern day business story of David versus Goliath - Netflix versus Blockbuster. Netflix was the classic underdog – a small upstart that slayed entertainment industry giant Blockbuster. Blockbuster began operations in 1985. At its height in 2004, Blockbuster was a multi-billion dollar enterprise with more than 50 million members, 60,000 employees, and 9,000 stores worldwide. Underdog Netflix began operations in 1997, an idea born after one of its founders, Reed Hastings, was assessed a $40 late fee for returning the video “Apollo 13” late to Blockbuster. Netflix originally began as a pay-per-rental video business. Videos were ordered via its website, at which point Netflix mailed physical video discs to renters. Netflix began its subscription business model in 1999, and added video streaming delivery to computers in 2007. Netflix thrives today, renting most if its media via online streaming. 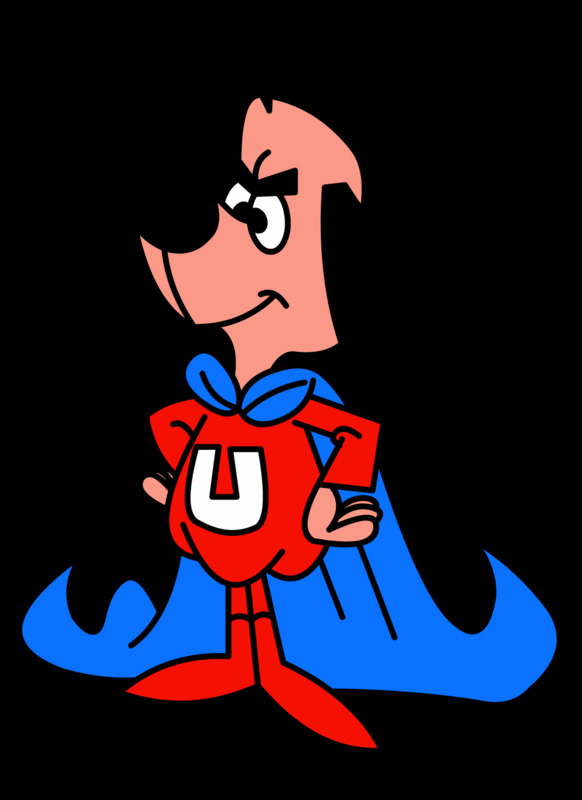 In 2000, Blockbuster had the chance to buy Netflix for a small price, but the giant video rental chain chose not to purchase the upstart underdog. Blockbuster filed for Chapter 11 bankruptcy in 2010. Game over. Netflix began with an idea to relieve the customer's pain. It was a hassle to visit a Blockbuster store to rent a video, drive back home, watch the video, and visit the store to return the video in a few days, or face late fees. Netflix began by eliminating the drive to the video store – Netflix established a online method to order videos and had them delivered to the customers via post mail, and returned via post mail. No drive back and forth to the video store, often to find that the video the customer wanted was not available. Netflix had the right number of videos to mail (or to stream online) so that it always had what the customer wanted to rent. In addition, Netflix had a larger selection of available videos than Blockbuster could offer at Blockbuster's physical store location. Netflix used customer points of pain to win against Blockbuster. Netflix eliminated the need to have physical stores by delivery via mail and via online ordering. At its height, the number of physical stores (distribution points) was considered a Blockbuster competitive advantage. No one else could match Blockbuster's number of retail locations. Netflix turned Blockbuster's strength into a weakness. Netflix chose not to play in Blockbuster's business model of expensive retail locations and its related high fixed costs. No physical stores, less fixed expenses. David versus Goliath. Netflix versus Blockbuster. The little guy changed the game. Game changers find that moment when the lightbulb comes on – an “aha moment”. Game changers change the rules to gain an advantage. 1. Use innovation to disrupt the playing field. 2. Display agility in business tactics, reacting to customer wants and needs in the moment. 3. Do what others don't want to do. Go down paths that others will not take. 4. Find customer pain points and remove the customer's pain. Game changers transform the “accepted rules” to relieve customer pain. 5. Capitalize on their own strengths. Game changers don't try to imitate the larger competitor. 6. Attack a competitor where they are weak, rather than attacking a competitor at its point of strength. 7. When facing giants and when facing challenges of biblical proportions, underdogs deliver their message with a punch. The digital world provides a variety of ways to deliver for small businesses to deliver their message. Twitter, Facebook, Instagram, LinkedIn, Digg, Youtube, Snapchat and a business website are just a few channels where small businesses can pack a punch. Big Spark Media helps underdogs pack a punch. Find out how to tell your story, to get the advantage, and to gain new customers with Big Spark Media.